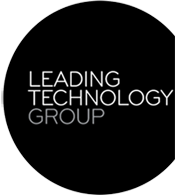 Over the past five years, Leading Technology Group has invested in businesses that manufacture and market biological reagents and assays for use in biomedical research. Our transition to the life sciences field was driven by an interest in the field of aging and, in 2013, we decided to focus a major part of our investment strategy on aging research and ventures. With an investor’s mindset, we set out to better understand the field by developing a basic model for prioritising aging research and ventures (article can be found here). We now present a guide to our approach for investing in these priorities. While this guide is based on our scientific investigations, we put it forward as our current approach and not as a scientific truth. We look forward to investing in research and business opportunities fitting this model, and appreciate considered feedback regarding our approach. physiology alterations would include genetic, chronic drug treatments, etc. Can demonstrate increases to health-span, for example reduced mortality and disability or their proxies. Focus on vascular aging, brain aging and their combination. What is peak human health? ’Peak human health’ can mean different things to different people, but it is generally agreed that peak health is reached between the ages of 20 and 35 (Kail 2012). It is within this age range that the likelihood of death or disability is lowest in adult life: less than a tenth of a percent per year, mostly due to injuries (See Figure 1) (IHME 2014). Figure 1. Graph showing the number of deaths per year and reasons for mortality at different age ranges (refer to IMHE site for details). Death rate in adult life is lowest between the age 20 and 35, with most of these deaths due to accidental injury. Repair: this approach is based on the belief that the accumulation of molecular damage throughout life is the direct cause of the exponential increase in disease and morbidity that is seen as we age. The high level classes of molecular damage have largely been identified and a repair approach would seek to implement strategies to maintain peak health through the remediation of this damage (De Grey 2007). This is our preferred approach. Replacement: aged organs may be replaced from outside the body (e.g. transplanted) or regenerated within the body. For example, the ‘Mexican walking fish’, or axolotl, can regenerate critical organs when they are damaged (Maden 2007). This approach is especially challenging for systems with memory, such as the brain or the immune system. genetic or other permanent physiological changes. ongoing treatments or drugs, e.g. statins. We are only interested in a strategy if the treatment time incurred is much shorter than the gain in health-span achieved. We acknowledge that gene therapy shows great promise for a small minority with less complex genetic disorders; but these diseases do not fit within our aging focus. At the biochemical level, human physiology is extremely complex and our efforts to understand it have only scratched the surface. Attempts to permanently alter physiology are almost certain to be plagued by side effects in the foreseeable future. We include in this restriction alterations that attempt to improve the body’s own repair systems eg. stress, energy metabolism. History has revealed very little variation in human physiology for several millennia. We believe this implies that the likelihood of significant physiological alterations being successful is very small. The value of life sciences research is almost impossible to measure unless the impact on health-span can be elicited. For this reason we require that the research we fund measures direct increases to health-span (e.g. reduced mortality or disability), or measures other parameters with very strong associations to health-span. Research based on animal models is acceptable, however we will weight our investment based on their transferability to humans. We are also interested in funding the development of diagnostic tools. 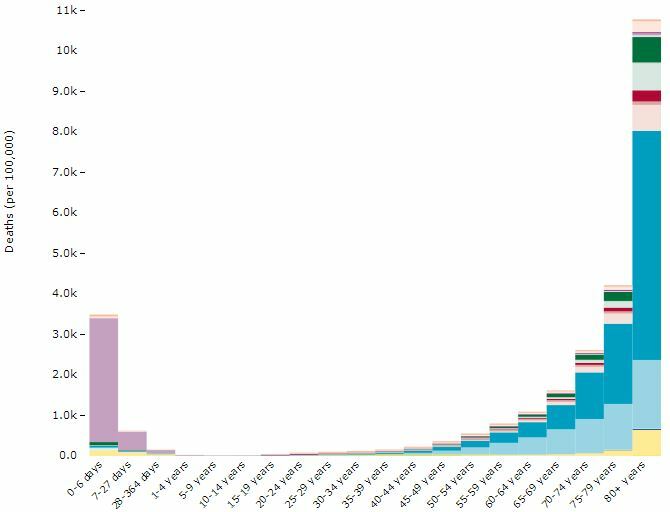 Having investigated the priorities for aging research, we have found that ‘vascular aging’ represents almost half of all age-related deaths. These diseases, including coronary heart disease, stroke and vascular dementia (Needham 2013), are primarily caused by the aging of the artery wall, and by atherosclerosis. Vascular aging is also a key driver for brain-related deaths and disabilities, including stroke and vascular dementia. However, given the importance and vital function of the brain, general brain aging is also a top priority. The exponential nature of aging means that even successes in the maintenance of peak vascular and brain health would only extend health span by a decade, two at most. Relatively uncommon causes of death, such as digestive diseases, would quickly take their place. Nevertheless, it is logical to start with the most pressing current priorities, and hope that successful strategies will be transferable to other priorities as they arise. We look forward to supporting promising research and ventures! If your research or venture aligns with our principles then we would love to hear from you. We are open to a broad range of engagements including partnerships, venture capital, and even PhD grants. Please send us a note through the Contact Us form and we’ll get in touch. Needham, Scott L. Towards Priorities for Aging Research. Rejuvenation Research (2013). An overview, the presentation and data can be found here: http://leadingtechnology.com/priorities-for-aging-research/. Kail, Robert V. and Cavanaugh, John C. Human development: A life-span view. 6th Edition. Cengage Learning, 2012. The Institute for Health Metrics and Evaluation (IHME) website provides data and visualisations of the data from the Global Burden of Disease Study 2010: http://www.healthmetricsandevaluation.org/gbd/visualizations/country. De Grey, Aubrey and Rae, Michael. Ending aging: The rejuvenation breakthroughs that could reverse human aging in our lifetime. Macmillan, 2007. Maden, Malcolm. Retinoic acid in the development, regeneration and maintenance of the nervous system. Nature Reviews Neuroscience (2007) 8(10): 755–765.